Greg Yoder participated in the first Christian World Outreach (CWO) work team that served in Johnstown, Pennsylvania after the flood of 1977. He then served on the first team to Haiti in 1978 that held a youth camp. After graduating from college he served in Haiti from 1980 to 1988. 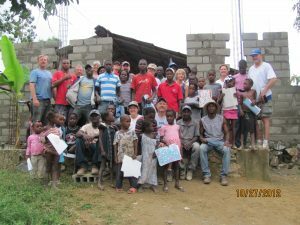 He taught at Quisqueya Christian School and prepared for short-term teams to come to Haiti in the summers for 3 ½ years and then worked full time as the CWO administrator. After moving back to the States he connected with CWO by serving on the board and leading teams. In 2003 he began working part-time leading CWO teams and then began working in the US headquarters in 2005 where he now serves as CWO’s president. 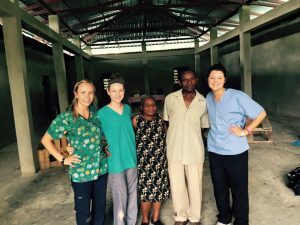 There continues to be a debate about whether short-term mission trips do much good. You have probably seen posts on Facebook or received an email with a website link about all the negative things associated with short-term mission trips. You have also probably read stories or talked to a friend about how a short-term team has had a positive effect. I must admit I have been a part of teams that fall under both extremes and hopefully have learned something from those experiences. It is healthy for every organization that participates in sending short-term missions to struggle with this question for each team that goes out to serve. After all, the buck stops with the organization that offers short-term trips because they are the link between those receiving a team and those going. It is their responsibility to make sure they are making a trip meaningful and useful to those receiving a team. It is also their responsibility to make it a positive learning and growing experience for the team members going to serve. The sending organization should first know those who are receiving a team. They should have a good enough working relationship so that they get an honest answer to the usefulness of teams. They should know the culture well enough to know if they are being told “yes bring teams” just because those asked are being polite or if they really want / need a team to come. The sending organization should also make sure that they include those receiving a team in the planning, the fundraising, and that they participate in the project. I have asked our in-country staff if it is beneficial to have teams come and the response has always been yes. They have said that it is an “encouragement” to have teams take time to come and serve alongside them, and they know that it helps those who support the ministry in prayer and financially to see firsthand what they support. Usually any negative reaction to short-term missions is partly because the American comes in as the “expert” in everything, works alone on the project and believes they are the only ones who can get the project done. Because of this we can create a group of people who sit back and watch the Americans work without saying a word. They will not tell the “guest” that the project is not something wanted or needed and so the time and money spent on this trip is wasted. I have seen some unused playgrounds that teams have felt were needed when the real need was for desks and other classroom needs. I have seen a room full of discarded toys left over after picking out the useful donated items like pencils, pens, rulers, notebooks, etc. I know of a building built that goes unused because it was built American style. I know of equipment that has been installed but never used because those receiving it do not know how to use it or the replacement parts are not available locally. I have also seen teams viewed as just a way to receive the funds to complete a project. The solution is to start with the sending organization building a long-term relationship with those they serve and then for them to understand the real need of those receiving a team. This relationship would be one built on trust and promote open and honest discussions about teams. It is best that those receiving a team are part of the planning so they have ownership and the project is accepted as theirs. One other way to help them take ownership is to have those receiving a team invest something in the project by raising funds or bringing supplies. Because this is not typically asked of those receiving a team it may seem odd but it is acceptable. It goes without saying, or maybe not, that the receivers and the team members work side-by-side on the project. This brings both sides together and helps build relationships that can last longer than any building or other project that a short-term mission team could participate in. CWO has been a part of short-term mission trips for almost 40 years. We have made mistakes along the way and have learned from those mistakes. Our goal is to make short-term mission trips a part of the ministry to encourage both those receiving a team and those going and to be a part of the existing ministries. More about short-term mission teams and the team member’s responsibilities and preparation on the next blog post.